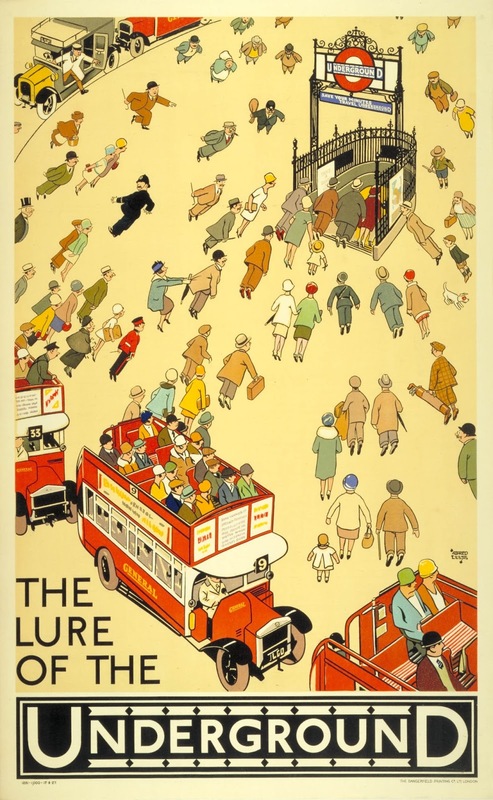 Every Friday I take a virtual walking tour ‘above ground’ on the London Underground. Using my Tube guide & my fitbit® device, my goal is to walk 10,000 steps a day roughly following along the Underground route, reporting back here on Fridays with my findings. Here are the previous days. We're following the Piccadilly Line path. This is Day 37. Aow, wouldn't it be loverly?" Most of you probably recognize the lyrics to Wouldn't it be loverly? 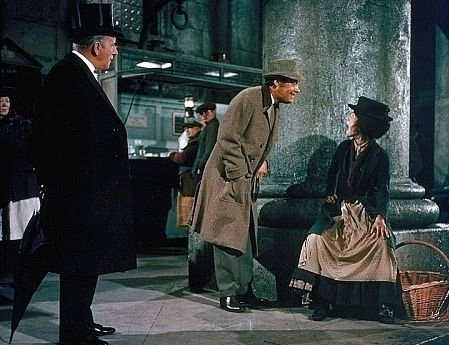 from My Fair Lady. 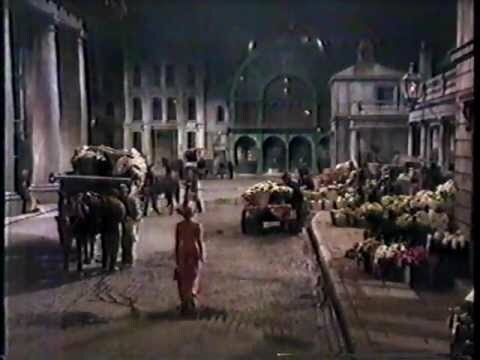 Can you hear Audrey Hepburn as Eliza Doolittle the Covent Garden flower girl singing her heart out. The location? The Royal Opera House aka Covent Garden. Once upon a time the area also housed a fruit and veg market—as seen in My Fair Lady as well as Hitchcock's Frenzy—but the area became so congested, the market was relocated in 1980, leaving the central building as a shopping center filled with cafes, pubs and trendy boutiques. 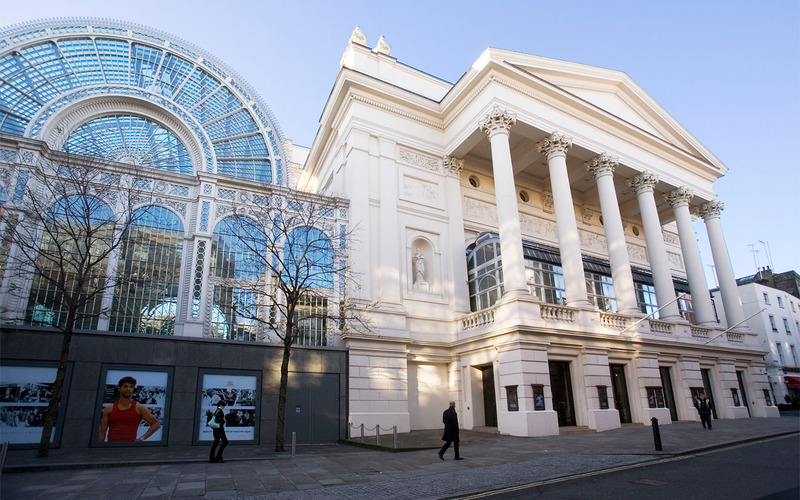 The Royal Opera House still stands and while opera is often on tap, the venue hosts a variety of performances. At the time of writing the Pet Shop Boys are wrapping up a four performance residency introducing their newest album. The Royal Opera House is also home to the Royal Ballet and this summer, the Bolshoi Ballet is in residency for three weeks with performances of Swan Lake, Taming of the Shrew, Don Quixote and more. If you're actually visiting London this summer, not just drooling from afar, check out the website below for details. 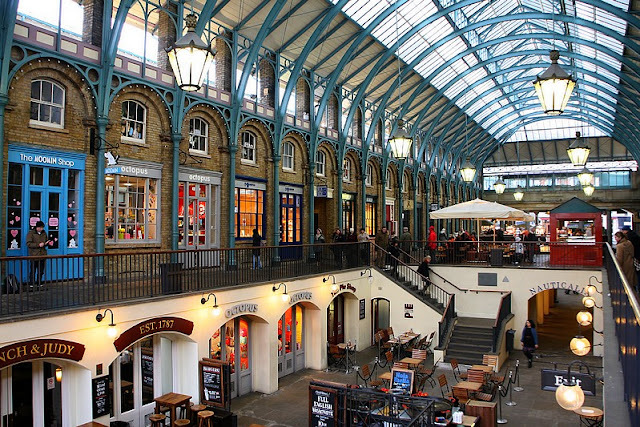 Covent Garden boasts a ton of restaurants and pubs—60 pubs actually—the oldest eatery is Rules Restaurant, featured in the James Bond movie Spectre. 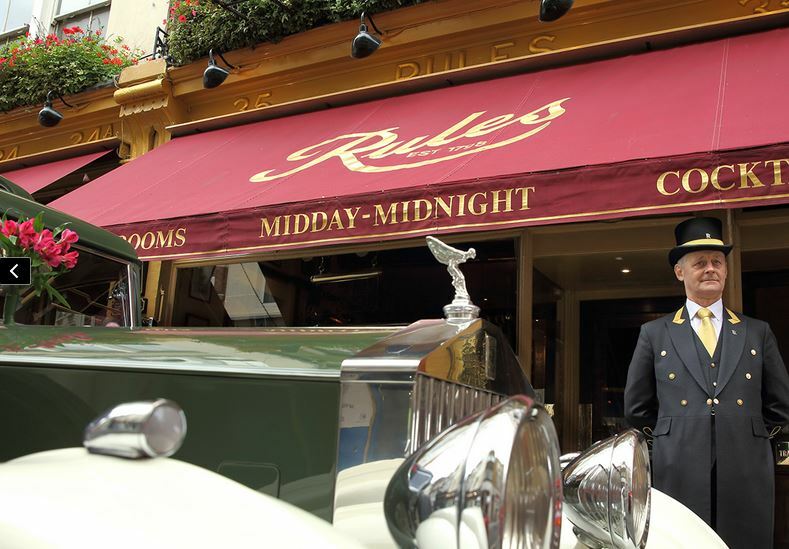 Rules was established in 1796, making it the oldest restaurant in London so I'll have to stop by while I'm in the hood for a little something to eat and drink. For starters I'll have a Kate Middleton. What is it? Kate Middleton’s “Royal 29” is a mix of No. 3 Gin, Finlandia Vodka, Lillet & Crystallised Violet Petals. Yes. Violet Petals. Very elegant. 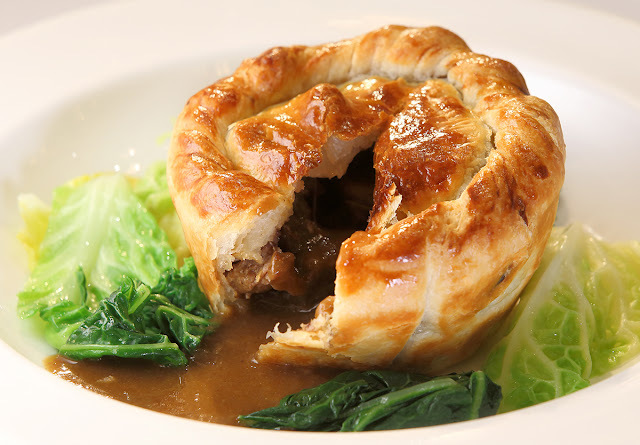 I'll follow that with a much more basic Steak and Kidney pie for lunch. I'll need the nourishment if I want to hit up the London Transport Museum. And of course I do! The museum is filled with historical artifacts of the early tube as well as London's iconic red 'battle buses'. 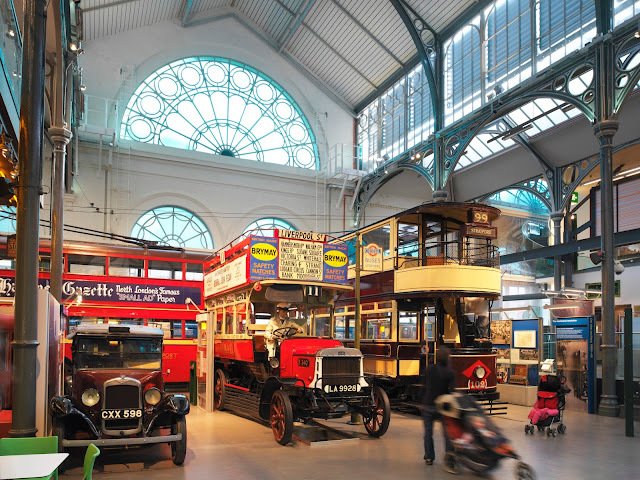 The London Transport Museum also has a fantastic collection of goods in their shop, many of which are available online. The vintage style poster at the top of this post, for example, designed by Alfred Leete in 1927 is for sale for just £15.95. Which you can buy from your homebase, wherever your homebase is. So happy, sweetie-darlings, to have been asked to share my thoughts on Absolutely Fabulous: The Movie. My sister, another fan of the AbFab television show, came along to the screening Monday night at the ArcLight Theater, home of the world-famous Cinerama Dome. Even though it's not a movie based on a book, I was planning on seeing the movie anyway. Throw in free tix, champagne and a stipend and I'm there! I'm sure Patsy & Edina would approve. As always, all opinions are my own. Read the rest via the link below. Let me grab my passport, your posts always make me want to travel. The opera house is stunning. Love it all.